While not considered a wild cat watching destination, Costa Rica is home to six species of wild felines: Jaguar, Puma, Ocelot, Margay, Oncilla and Jaguarundi. As I am heading to Costa Rica for a friend’s wedding, followed by a two-week road trip through the country’s National Parks, I wonder what chances we might have of spotting any of the wild cats of Costa Rica. 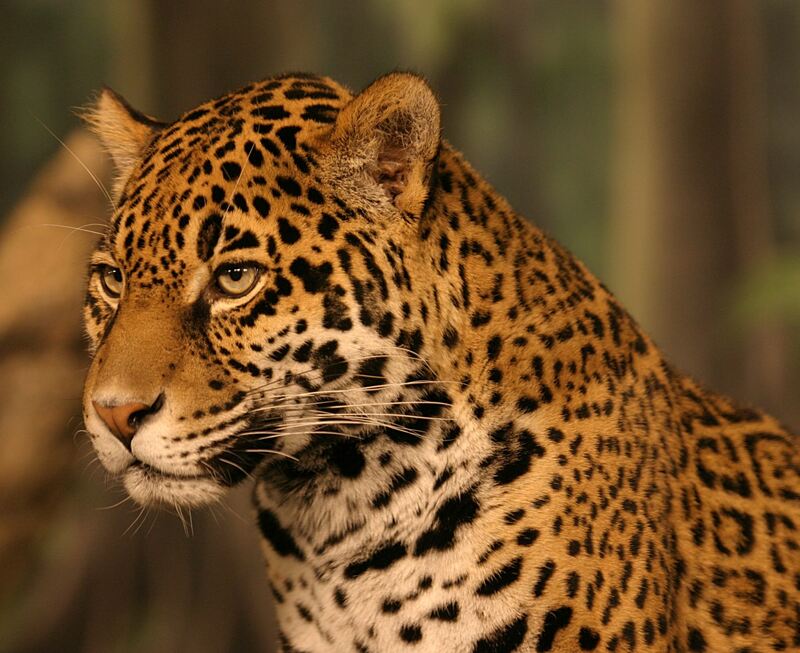 The jaguar (Panthera onca) is Costa Rica’s only big cat. It is mainly active during dawn and dusk and has a strong association with water – it often prefers to live near rivers and swamps. According to a recent study (Salom-Perez et al, 2007) there is a substantial population of jaguars in Corcovado National Park, where they occur at a density of 7 individuals per 100 km². However, even when present in the area, the jaguar is very difficult to see as it prefers dense forest habitat and avoids contact with humans. Off course you never know what the jungle will choose to present to you, but I imagine that our chances of spotting a jaguar on the walking trails around Sirena Ranger Station in Corcovado are slim to none. 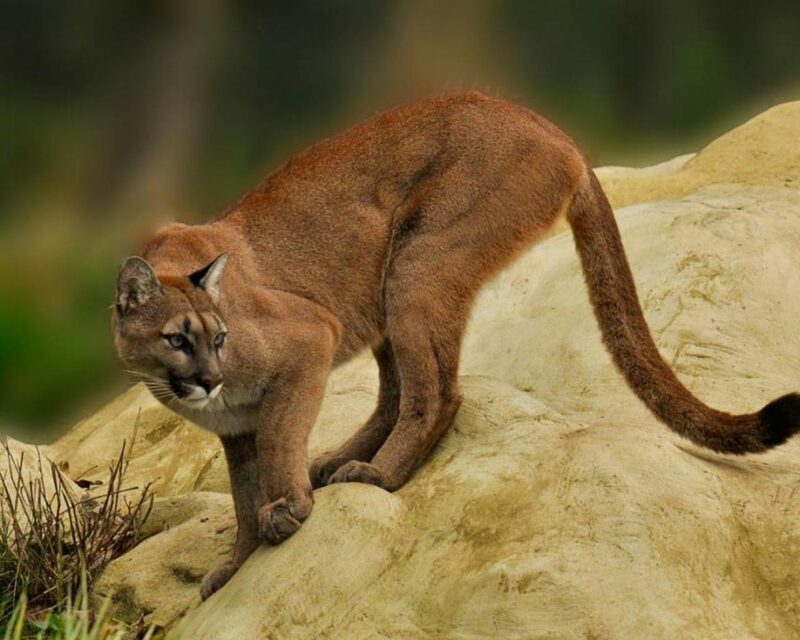 The second largest cat in Costa Rica is the puma (Puma concolor). While also quite uncommon throughout the country, pumas are occasionally seen by local farmers and regularly captured by camera traps in Santa Elena Reserve in Monteverde Conservation Area. Recently a puma was killed by a car just outside the reserve. So perhaps pumas are not as rare in Monteverde as commonly thought. 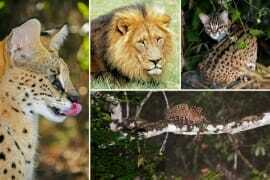 These sightings qualify the puma for the ‘maybe’ column of our bucket list. 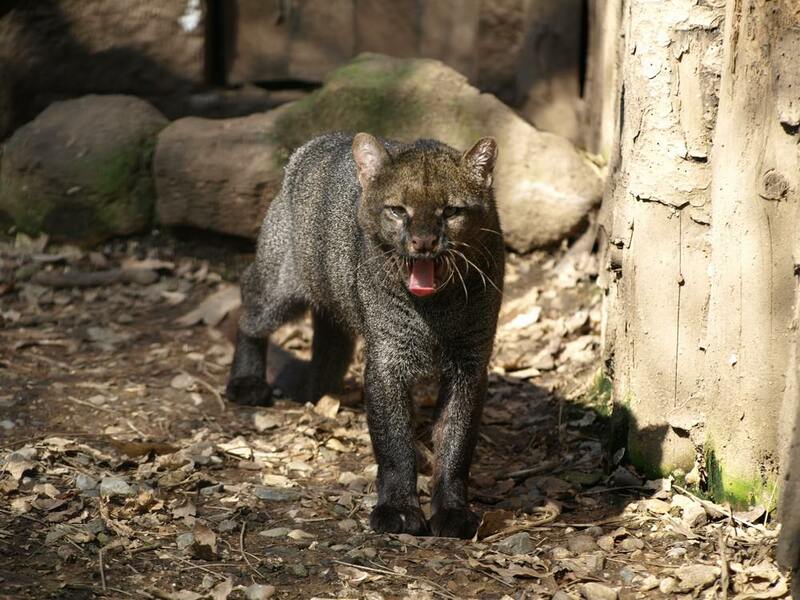 Perhaps the country’s most unusual cat is the jaguarundi (Puma yagouaroundi). A relative of puma it has a long body with short legs, unspotted coat and bears more resemblance to a weasel than to a cat. It prefers open habitat close to a source of running water. The Jaguarundi is the only wild cat in Costa Rica that is primarily active during the day and since it is reportedly well adjusted to human-altered habitats, there is a reasonable chance of spotting it during our travels across the country. The remaining three species of wild cats of Costa Rica belong to the group of small spotted cats. The largest of these, the ocelot (Leopardus pardalis) is perhaps the most common (or rather the least uncommon) wild cat in Costa Rica. There are a few records of ocelot sightings from Sirena Ranger Station in Corcovado, and my hopes are high for spotting this particular small feline. While night walks are not permitted at Sirena, our trekking days will start at 4.30am, giving us a chance of spotting an ocelot at dawn. A much smaller spotted cat is the margay (Leopardus wiedii). Only slightly bigger than a domestic cat the margay looks quite similar to the ocelot. However, unlike its bigger cousin, the margay is strictly arboreal and can spend its entire life in the trees hunting monkeys and other tree-dwelling mammals. It has been recently discovered that the margay employs an unusual hunting technique of imitating its prey’s vocalizations. A group of primate researchers observed a margay imitating the calls of young pied tamarins in order to attract an adult tamarin closer to the spot where the cat was waiting in ambush. Perhaps watching groups of feeding monkeys early in the morning would be the best strategy for spotting a margay, keeping in mind that these cats are very rarely spotted in the wild. The oncilla (Leopardus tigrinus) is the smallest of Costa Rica’s wild cats. It occurs primarily at higher elevations, in montane forests on the flanks of volcanos and other high mountains. 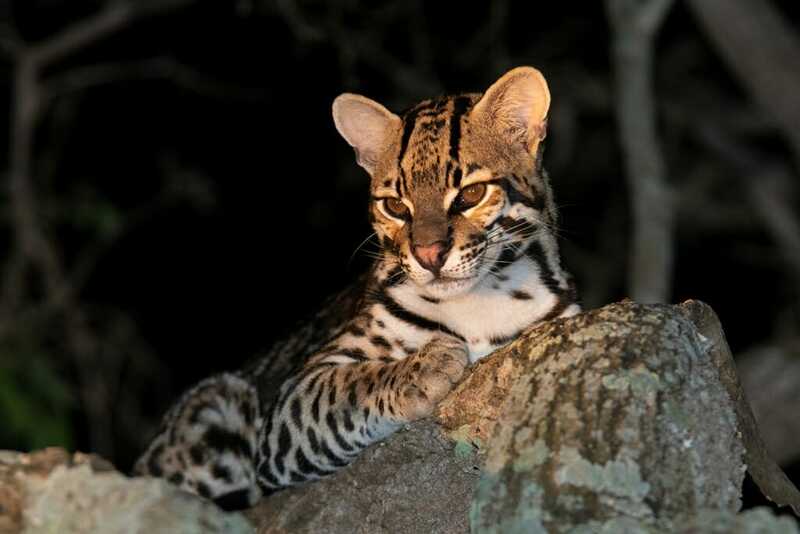 The oncilla is primarily nocturnal, but in areas where it preys mainly on diurnal lizards, the oncilla is more likely to be active during the day. 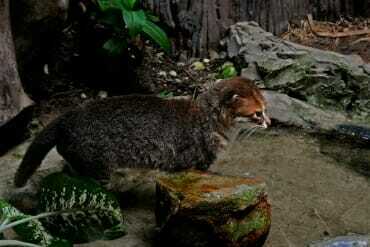 In 2007 there was a resident oncilla at Arenal Volcano. Raised by people in a nearby town it was released into the forest where it could be frequently seen due to its diurnal habits and habituation to people. Generally, Corcovado is considered to be the most likely place to spot an oncilla, but the sightings are not frequent and I believe our chances of finding one are quite slim. All in all, we probably have a somewhat reasonable chance of spotting three out of six species of Costa Rica’s felines: puma, jaguarundi, and ocelot. Although, since most wild cat sightings in Costa Rica are the case of sheer luck of being in the right place at the right time – anything is possible. May the odds be always in our favour! Previous articleWhere to see wild cats in Borneo?